This baby girl and her sweet parents visited me in our Collegeville, PA, newborn and baby photography studio for her newborn photoshoot. She has SERIOUSLY amazing eyes! Love how well the wrap and headband color worked for her. For part of the session, she decided she had no interest in sleeping and was happy just looking around and kicking those precious legs. I adored her “awake” shots. 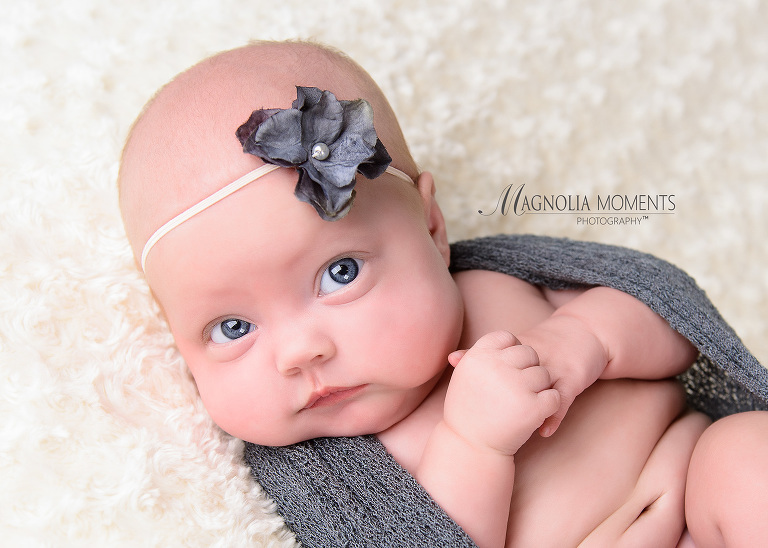 It was such a pleasure meeting you, S Family, and I so appreciate you selecting Magnolia Moments Photography for your daughter’s newborn photoshoot. I loved spending the morning with your sweet baby girl. 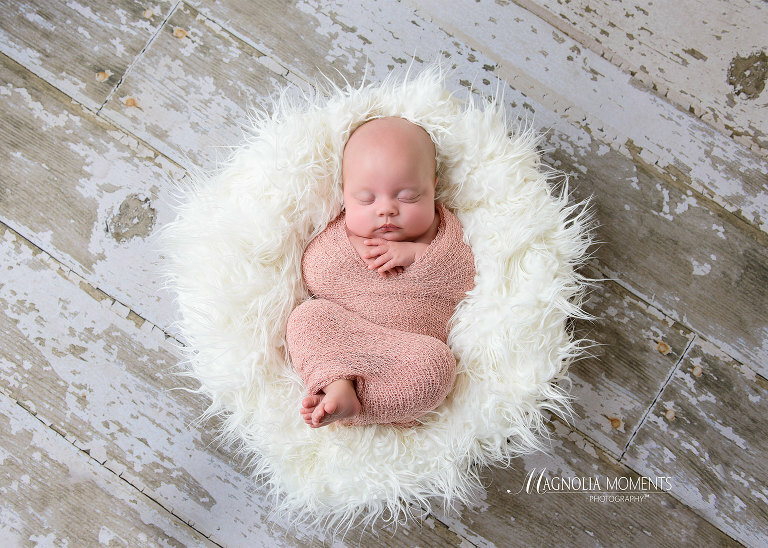 FOR MORE INFORMATION ABOUT SCHEDULING YOUR NEWBORN PHOTOGRAPHY SESSION, PLEASE CONTACT US.